I was inspired to draw up a post of things Jamaicans love for my island readers who are overseas and missing a little home during the holiday and the people that love them. I’m sure your friends and family will love any of these unique Jamaican gifts that bring a little bit of the warmth from home. Whether you’re looking for something fun to give to a Jamaican for Christmas or their birthday then this is for you! These are Jamaican gifts that are traditional to my island people, things we love when we’re home and appreciate even more when we’re abroad. This shoe brand is so popular in Jamaican culture that there’s an entire Dancehall song by Vybz Kartel called Clarks. Jamaican men love them a good Desert Boot or Wallabee Shoe. You can’t be a Jamaican without a dutch pot in your collection, really. And if they have one already, they can use another, trust me. Look through the kitchen wares and see if they need this deep one or they’re missing the frying pan version. These Lodge brand pans come very highly rated and will make the brown stew chicken, curry goat and the stew pork seriously more delicious than any non-stick skillet. It’s a must for Sunday dinner cooking! High on the list of Jamaican presents is everything with our flag. Because we love to represent! This one is a large beach or bath towel or you could go with a smaller hand towel for the bathroom or, you know, to throw over the headrest in the car. Speaking of car decor, we Jamaicans love to rep where we’re from and these mini boxing gloves might go over as a corny joke or they might actually really hang them in the car. Give it a try and see which one happens. 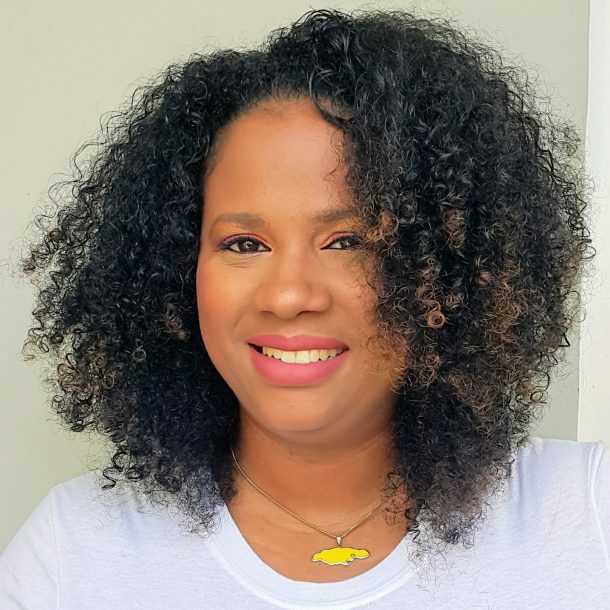 The author is American born to a Jamaican mother and according to her bio is attempting to keep her Jamaican heritage alive and pass it on to her own children. I just picked up this book for myself and munchkin because I love anything that brings us closer together and she loves to cook with me! The spelling of “mudda” was a little off-putting for me, no one in Jamaica actually spells it this way, dialect or not, but I was willing to overlook it for the narrative as it seems the recipes come with personal stories from the author’s life. As you can tell, I love books and I think any Jamaican would do well to have a few cookbooks lying around on the coffee table to spread a little of our culture around. Of course our highly rated Blue Mountain Coffee would be on this list. Try the Marley brand single cups that are compatible with Keurig single-serve coffee machines or get the highly rated Wallenford brand, a company based in Jamaica. Here’s an 8oz bag of Wallenford coffee beans if you’re more of a bean person. Talk about gifts from Jamaica! Put together a little care package of teas and sorrel leaves that we use to make the sorrel drink that’s a Christmas staple. Sorrel is a rich and delicious drink that’s brewed with ginger and pimento spice and is usually spiked with white rum for the adults. It’s a must at a Jamaican Christmas table along with our ham, jerk chicken, curry goat and other Christmas favourites. It’s also available as a tea. You’ll notice I linked to the ginger tea as well in that bundle. We Jamaicans think a little ginger tea will solve any stomach ailment. This brand and combination of tea is always in my cupboard. Mint tea is another staple in the Jamaican household and those who do not have access to the plant use these tea bags to get our fix. I get the straight peppermint tea for my munchkin and the green tea mix is for me. These would be some cool things to buy in Jamaica as well and bring back with you to share with your tea lovers. If you’re looking for gifts for a Jamaican man, this is it. You might be inclined to call it soccer but your Jamaican friends know it’s football. As a Jamaican, it’s highly likely he loves him some football! He might not get a chance to play but will probably still appreciate repping Jamaica by way of these compressions socks. A flag! Of course! Fly your flag high outside your home or use as decor somewhere inside. Keep it handy for the West Indian Memorial day parade too! This one comes by popular demand, meaning my little kiddo got excited when she saw it. She thinks it would be a great gift for her dad who’s a PS4 fanatic. She proceeded to tell me how to do moves with this controller when playing Mortal Combat, one of her dad’s fave games that they play together. If your Jamaican friend is an Xbox player, there’s a skin for them here too. Puma is the official clothing sponsor of the Jamaican Olympic team. This sweatshirt is for big kids and who doesn’t love a sweatshirt? We always need more earphones. This is from the House of Marley brand. I have the wired earphones and can confirm that they’re of really great quality. Now that I’m seeing these I’m thinking of picking them up for myself as well. This lapel pin would make a great stocking stuffer! What an awesome way to rep in the boardroom. I didn’t realise the wide array of Jamaican gifts online actually and now I want this for myself. I don’t even know why. I grappled with including this on the list because I’d really rather you support one of the many talented Jamaican fashion designers creating awesome swimwear designs. I’ve decided to do that in a separate post however. These swim trunks, one piece swimsuit or wrap around bikini is a cute addition to any one’s wardrobe whether you’re Jamaican or planning to visit soon. High on the list of things Jamaicans love, dominoes! A staple at a Jamaican game night, you can find dominoes being played at every bar and street corner in some neighbourhoods in Jamaica. Even if your Jamaican friend doesn’t get the chance to play, they will smile when they realise you researched their culture to think of this Jamaican themed gift. Did I leave anything off the list? What other Jamaican themed presents can you think of that I can add? If you’re looking for a gift for a Jamaican friend, did anything on the list tickle your fancy? Let me know in the comments below and please share this post if you found it useful. Related: Meaningful Reasons To Get Into The Holiday Spirit. Share this with someone who’s being a bit of a Grinch. That’s awesome Kamira, I bet he’ll appreciate the effort. Great list! I think anyone could enjoy a Jamaican recipe book! So delicious! True everybody needs a little Jamaican spice in deh life! Such a great list of ideas! I think my hubby would adore those cook books. Adding these to my xmas list. Thanks for the ideas ?. That’s awesome to hear, I hope he likes it ? Ha! I actually have a Jamaican in my life. I’ll have to grab her a swimsuit. Well looky here! I hope she likes it ?